If your home in San Antonio, Texas, needs a new garage door, you could turn to a fly-by-night contractor who may or may not have the proper licensing and adequate experience. 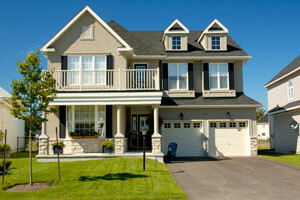 Or, you can turn to 31-W Insulation, a company that has provided top-notch home remodeling services since 1972. We’ve served practically too many homeowners to count, so you can rest assured that we have the experience and the expertise needed to get the job done right. Attic insulation – We proudly offer insulation products from CertainTeed and Owens Corning®, two of the industry’s most trusted brands. Simulated stone siding – Our manufacturer of choice is NextStone™, a company that makes low-maintenance stone veneers that are insulated to enhance your home’s energy efficiency. A marble fireplace surround – Our experts can help you choose the perfect marble to complement your home’s décor and appeal to your aesthetic preferences. To learn more about our selection of home remodeling services, please feel free to contact us today. We’ll gladly provide a complimentary consultation and no-obligation project estimate no matter the size or scope of your home improvement project.